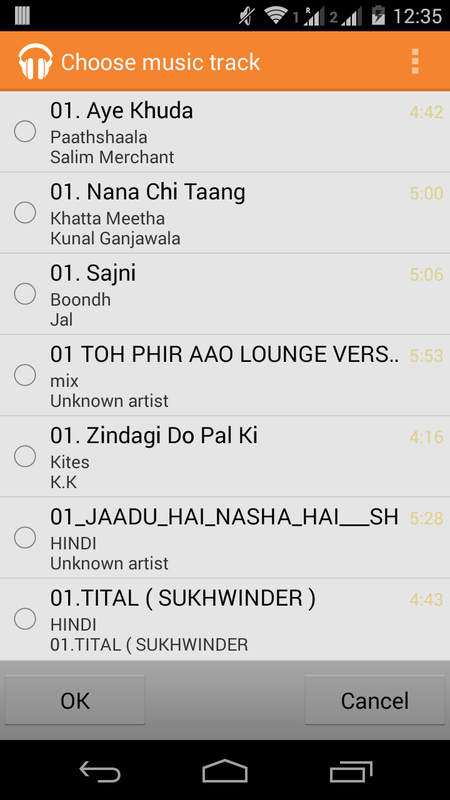 How can I fetch the Audio files from Android Device above Android 4.0 like Whatsapp? I want to show track same as Image and want to play it there. Using below code I can try to fetch Mp3 files but can't play that file there. Using this method I can Find the detail of all Mp3 files from whole sdcard. In this Track_Bean is a Get and Set Method of Different String variables. Email codedump link for How can I fetch the Audio files from Android Device above Android 4.0 like Whatsapp?